Should not be in business! Crazy busy every morning. The drive-thru is slow and exhausting. Very pleasant and hard working staff. Good food. 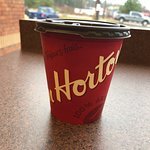 Just stopped for a morning double double. Place was quite busy. Staff seemed a little uncoordinated . Employees were very pleasant and went above and beyond to please us. Coffee was delicious. They were very short on supplies and they didn't carry the fall items that we had seen advertised and were really looking forward to. 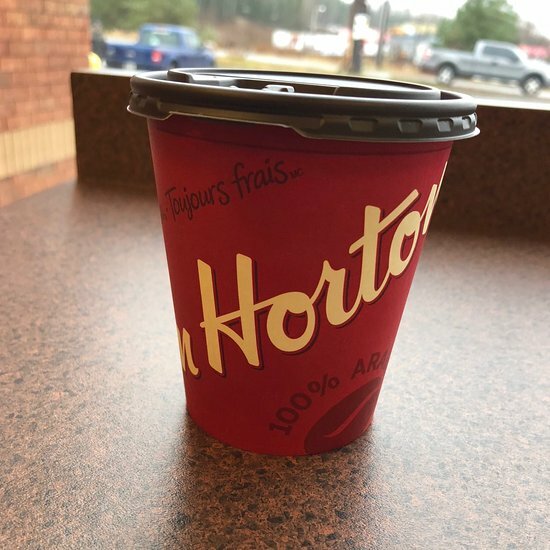 Get quick answers from Tim Hortons staff and past visitors.